A new spin on a Thanksgiving classic!! Use it as a side or as a snack, anytime!! Always wash fruits and vegetables before using: Preheat oven to 375 degrees F. Preheat a large skillet over medium high heat. Add extra-virgin olive oil to skillet and 4 tablespoons butter. When butter melts, add bay leaf and add the vegetables as you chop them, celery, onions then apples. Sprinkle the vegetables and apples with salt, pepper and poultry seasoning. Cook 5 to 6 minutes to begin to soften vegetables and apples then add parsley and stuffing cubes to the pan and combine. Moisten the stuffing with chicken broth until all of the bread is soft but not wet. Butter 12 muffin cups, 2 tins, liberally with remaining butter. 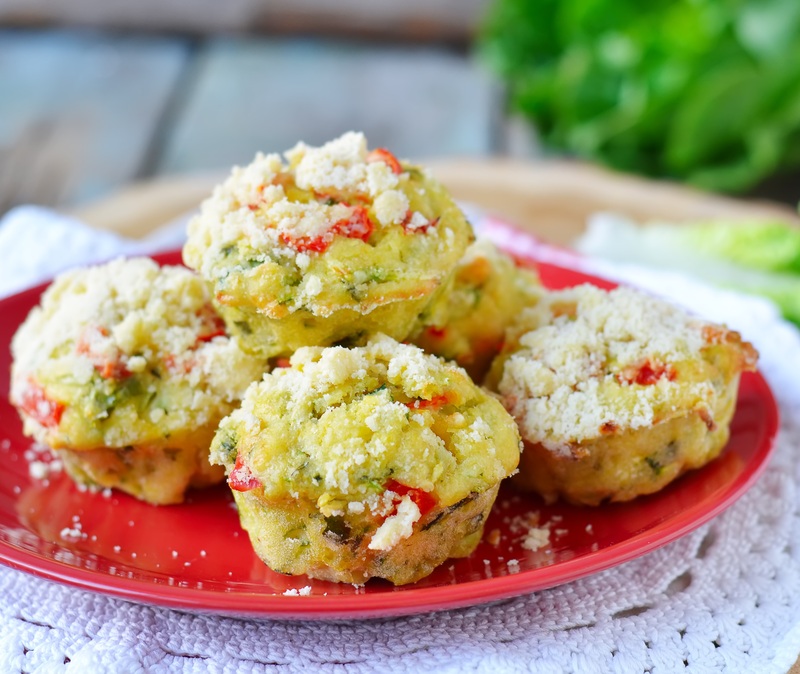 Use a disher to fill and mound up the stuffing in muffin tins. Remove the bay leaf as you scoop the stuffing when you come upon it. Bake until set and crisp on top, 10 to 15 minutes. Remove muffins to a platter and serve hot or room temperature..